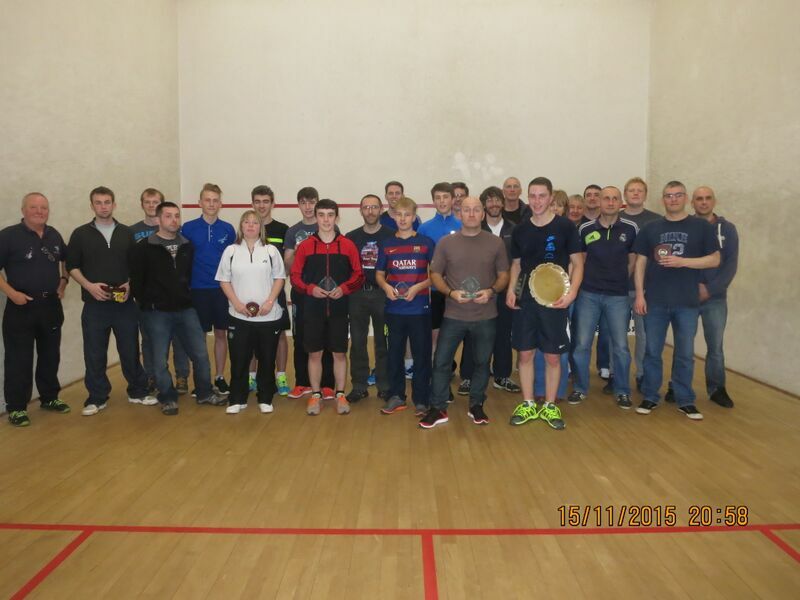 Last weekend the Highlands & Islands Squash Association (HISA) held their annual singles championship. 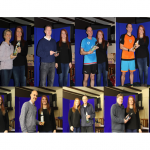 In keeping with the desire to move the tournament around the region following previous years’ excursions to Buckpool, Gordonstoun and Fort William, Thurso Squash Club kindly volunteered to host this year’s tournament. 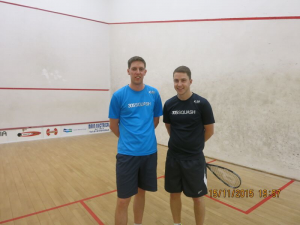 Wick Squash Club also played an integral part in providing additional courts for the Saturday matches allowing the atmosphere to build throughout the Sunday in Thurso for the final rounds of the tournament. The event attracted a super turnout of 48; half of whom were southerly-based players around Inverness, Nairn, and Elgin and the remaining half from northerly-based players from Thurso and Wick. The competition was run in the Monrad format whereby a first qualifying round (based on seeding) determined the group the entrants would play in their remaining three matches; resulting in each groups’ players being placed 1 to 8. Garry McKay (Inverness and Nairn), current HISA Champion and tournament organiser, excelled himself in putting together a qualifying round that in all but a handful of cases pitched north and south players together. This proved a massive success and although the northerly clubs don’t participate in the PDG Helicopters-sponsored HISA Leagues due to distance, it was evident right from the start that they suffer not from a lack of talent. 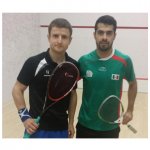 As the first day progressed the squash got more and more competitive as players found themselves paired off in battles of ever more similar ability. Some players found extra motivation to win in order to avoid a third consecutive Saturday match whilst others cherished the thought of a not-so-early start on the Sunday and some extra time to digest a hearty breakfast. And so it came down to the final rounds and the outstanding performances of a number of the juniors are worthy of particular mention. Firstly, Fraser Steven (Thurso) guided his way to a well deserved 3rd place in Division 2 with his club-mate Ross Mowatt finishing as the worthy winner. Finally, the highest accolades are reserved for the prodigious talent of Ally Prott (Inverness) after his tremendous success in the British Open in Manchester where he reached the final but lost to the English number 1, Jared Carter. In an enthralling semi-final match, he pushed the reigning champion Garry McKay all the way, having 3 match points in the fourth game, only to lose out narrowly in the fifth. The three match-point chances may peeve Ally for a while but there’re few that don’t expect to see his name on the championship trophy many times in the coming years. This 14 year old is an inspiration to other junior players in the Highlands, his play on court is dazzling whilst his leadership and enthusiasm off court urges other juniors to emulate him and try and achieve better results. 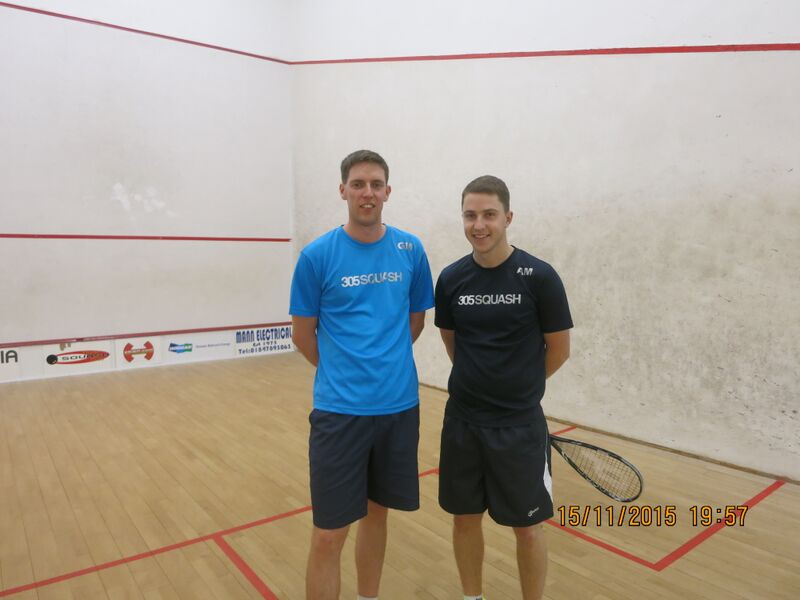 And so it came down to the Division 1 final: Ally McCorquodale (Inverness) vs Garry McKay. Following his gruelling five-setter in the semis McKay chanced his luck at offering to re-schedule the final for the following weekend. Once the banter subsided the excitement grew as the expectant and enthusiastic crowd looked forward to a re-match of the 2013 final. It was another fantastic 5-setter with McKay’s 1 game lead being expertly clawed back on two occasions. It came down to the fifth and thoughts turned to the last time McCorquodale had a chance to win the title and whether the drama of playing through a certain stroke decision could once again deny him victory. Alas, there could only be one winner and it was McCorquodale who deservedly edged it 11-8; the taste of success being all the more sweet from having had to wait for so long. It was a fitting end to a very enjoyable, competitive and excellently well-run tournament. 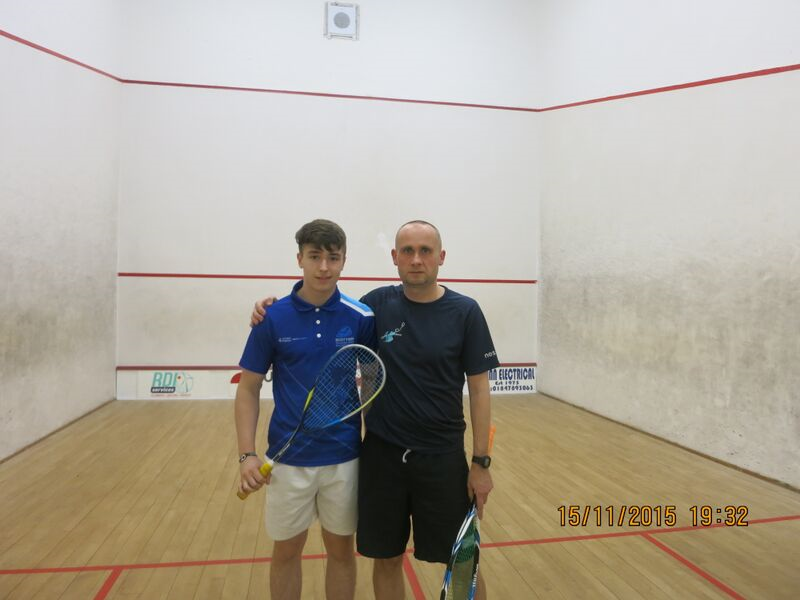 Special thanks were passed on to all those involved in facilitating such a wonderful weekend of squash and in particular to Alison Henderson (Thurso) and Donald Durrand (Wick). Garry McKay was as gracious in defeat as victory despite having had such little experience; his five-year reign as Highland champion finally coming to an end to no more a deserved winner than Ally McCorquodale.